E-light is a system that combines IPL and RF technology. Using light energy first to preheat the target area, a thermal path is created for Radio Frenquency to travel, then Electrical Energy is delivered directly to the hair folicle or targeted areas. By using the E-light system the unwanted hair can be removed from all parts of the body. It is so effective that it can treat dark skin and light hair. This includes blonde, white, red and ginger hair. The E-light system also helps to generate new collagen and elastin, enhance skin elasticity and firmness, diminish fine lines and wrinkles, minimise large pores and whiten all skin types. IPL Treatment is in Salon One every month. never shave, tweeze, wax or go through electrolysis again! Facial imperfections can detract from your well being and appearance, no matter how young and healthy you feel. Intense Pulsed Light technology creates smoother looking skin. After your series of treatments you can see a significant improvement in skin tone. Also available is skin rejuvenation treatments. The light energies used by the IPL treatment machine breaks up the pigment and blood in legions and stimulates collagen production restoring the skin to a more youthful state. Brown spots from sun damage and ageing, red blotchiness from spider vessels or rosacea and rough skin will all improve over a series of treatments. Skin tightening is achieved over a five treatment series that heats the skin tissue to increase the collagen network and cause the skin to tighten. Collagen synthesis occurs after 3-6 months. IPL treatment is very safe for the skin, there are many advances in IPL technology that make it unparalleled for skin safety, without compromising effectiveness for treatment. There are no long-term health hazards from light energies used in IPL machines. Light energy has been used for decades in medicine, surgery and aesthetics without adversity. Book now for a free IPL treatment consultation with one of our beauty therapists, who are available at any time. IPL can only improve your skin, and you will see a noticeable difference even after the first session! Making you feel better and better every day. 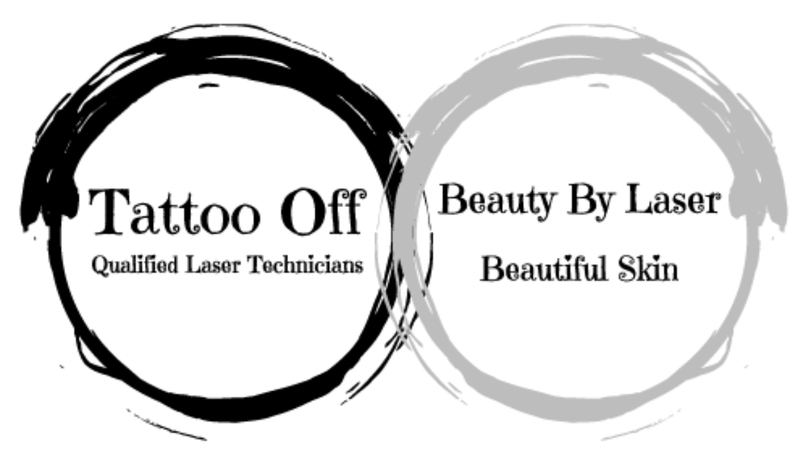 Laser Tattoo Removal:– For Black and colored tattoos. Proven results; fast effective tattoo removal. We use Q Switch Yag Laser the latest in technology. Factors such as size, colors and amount of ink will determine the price. Facial Skin Rejuvenation:– This treatment is the entrée of our skin treatments. It is non invasive with immediate results. Skin Rejuvenation is a collagen stimulant that shrinks pores and reduces redness. This treatment improves the skins overall tone and appearance. Only $80.00 per Facial Skin Rejuvenation. IPL Hair Reduction:– Reduce unwanted hair permanently. As we get older our hair growth changes. IPL is your solution to those unwanted hair problems. As a guideline for this service, treatment starts at $45 price will depend on the quantity you are wanting removed, area and density of the hair. IPL Photo Rejuvenation:– This amazing treatment is for Pigmentation, Melasma and sun spot removal. Prices do vary depending on what you are wanting removed; please book an appointment for a free consultation to discuss your options. Vascular Vanish:– Red Veins and Capillaries bothering you? IPL laser can remove these for you in any place of your body. These small veins respond well and usually only need 1 – 3 treatments. Please note that we do not treat varicose veins. However we would refer you to the appropriate clinic. Book in for a free consultation so we can explain the veins and how they respond to these fabulous treatments. Prices do vary depending on area. All this can be discussed during your consultation. Wrinkle Reduction:– New Line Eraser. As an alternative from Fillers or Botox this treatment gives you effective results with out invasive needles or chemicals. You will be blown away with instant results from this treatment. Only $350 per Wrinkle Reduction. Stretch Mark Reduction:– Effective way of treating unwanted stretchmark’s from pregnancy, weight gain or loss. Non Invasive, pain free, laser treatment with fast proven results. Sebaceous Wart Removal:– Removes Facial warts or lumps. Hormonal cysts that need to usually been burnt off also respond amazing to the laser. May take up to 3 treatments but you will see results in first week. Don’t be embarrassed about covering these up any longer; this amazing treatment is what you’ve been looking for. Book now for your free consultation. This treatment starts from just $50 per Sebaceous Wart Removal. Acne Axer:– If you suffer from acne this treatment will defiantly benefit you – great for all ages. How does it work? The laser actually kills the bacteria in the skin that promotes acne and breakouts. This treatment is also great for scarring. Brightening the skin and killing bacteria in minutes. Only $120 per Acne Axer treatment. Black Caviar:– Facial Laser whitening and brightening treatment. Clears skin and makes skin colour consistent. Permanent results . Amazing for uneven skin tone, pigmentation and acne. $150 per Black Caviar treatment. The founder of Beauty By Laser, Michelle Wyper has a vision to make all treatments affordable as every women deserves to feel confident and beautiful. With this in mind please note that we do have payment plans available. If you are considering a treatment with us please book in for your FREE, no obligation consultation today to discuss your options. All patient records are confidential. We have highly qualified staff to ensure you receive the best results and safe treatment. We see all our clients as precious and would love the opportunity to help you reach your desired outcome with the services we offer. We are extremely competitive with our prices and having the latest treatments and equipment available so you know you are in safe hands. Salon One – Created exclusively for you, helping women feel beautiful, every day.